Adolf Hitler, Benito Mussolini, Mao Zedong, Kim Jong-Il, Joseph Stalin. The mere sound of these names conjures up mental images of the personality cult–films, monuments, renamed cities, prose, poetry, and, perhaps most of all, portraiture all designed to raise a dictatorial leader to mythic, super-human status. All Russian history professors teach about the Stalin cult, and students find it endlessly fascinating, yet surprisingly little serious academic research has been devoted to the topic–until now. Yale University Press has just published Jan Plamper’s The Stalin Cult: A Study in the Alchemy of Power, and we have brought in a terrific group of experts to discuss what is, in my estimation, an instant classic in the field of Russian history. Since we held our first blog conversation on Gulag Boss in the fall, we have received a lot of positive feedback on the format and hope to make this a regular feature here at Russian History Blog. (You can read my initial thoughts on the form of the blog conversation.) Periodically, either my co-bloggers or I will pick a book (new or old) or a topic, bring in guest bloggers with appropriate expertise, and invite our readers to participate via commenting on the individual posts. From time to time, we hope to coordinate our efforts with the New Books Network, as we have done for this conversation. Sean Guillory, host of New Books in Russian and Eurasian Studies interviewed Plamper about the book and I urge you to listen to the podcast and join us for the conversation here at the blog. I also hope you will become a regular at New Books in Russian and Eurasian Studies where many an author, myself included, are given the opportunity to talk about our works. This blog conversation will focus on The Stalin Cult, in which Plamper explores that personality cult from a wide variety of angles including the historical lineage of the personality cult in general, the development and alteration of the Stalin cult over time, the personal role played by Stalin in creating and shaping his own cult, the political and artistic personalities and institutions that created and controlled the cult, and the cultural milieu of Stalinism in which the cult operated and which the cult helped to create. Jan Plamper is currently Dilthey Fellow at the Max Planck Institute for Human Development and in September 2012 will become Professor of History at Goldsmiths, University of London. He is also an associate editor of Kritika. A Russian version of The Stalin Cult appeared in 2010 as Alkhimiia vlasti: Kul’t Stalina v izobrazitel’nom iskusstve. He is also author of Geschichte und Gefühl: Grundlagen der Emotionsgeschichte. A full listing of his publications, including the numerous volumes he has edited and the many articles and book chapters he has authored can be found at his Max Planck Institute bio page. David Brandenberger is Associate Professor of History and International Studies at the University of Richmond. He has written a variety of articles on Stalin-era propaganda, ideology and nationalism. He has also published two monographs—National Bolshevism: Stalinist Mass Culture and the Formation of Modern Russian National Identity, 1931-1956 and Propaganda State in Crisis: Soviet Ideology, Indoctrination and Terror under Stalin, 1928-1941—and edited a collection with Kevin M. F. Platt entitled Epic Revisionism: Russian History and Literature as Stalinist Propaganda. Brandenberger is presently finishing a critical edition of Stalin’s infamous 1938 party history textbook, The Short Course on the History of the All-Union Communist Party (Bolsheviks). Simonetta Falasca-Zamponi is a professor of sociology at the University of California, Santa Barbara, where she teaches courses on social theory and cultural analysis. Her research is concerned with studying the political as a site of cultural discourse, cultural identity, and cultural production. Her first book Fascist Spectacle: The Aesthetics of Power in Mussolini’s Italy employed the category of “aesthetic politics” to analyze the role that symbolic discourse — in the guise of myths, rituals, images and speeches – played in the making of the fascist regime and the construction of Mussolini’s power. She is author more recently of Rethinking the Political: The Sacred, Aesthetic Politics, and the Collège de Sociologie. 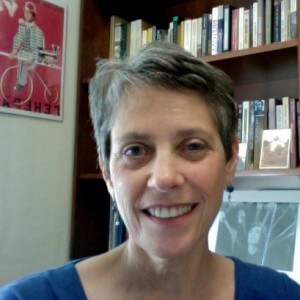 Joan Neuberger is Professor of History at the University of Texas at Austin, where she studies modern Russian culture in social and political context, with a focus on the politics of the arts. Neuberger is author of Hooliganism: Crime and Culture in St Petersburg, 1900-1914 and Ivan the Terrible: The Film Companion, co-editor of two books focused on visual culture in Russian history, and author of numerous articles on popular legal culture, Eisenstein and other filmmakers. She produced a special feature documentary on the history of Ivan the Terrible for the boxed set, Eisenstein: The Sound Years. She is currently hoping to finish very soon a broader historical book on Ivan called This Thing of Darkness: Eisenstein’s ‘Ivan the Terrible’ in Stalinist Russia. Most recently, Neuberger has become Editor of Not Even Past, the public history outreach website produced by faculty and grad students in the History Department at UT Austin. Richard Wortman is James Bryce Professor Emeritus of European Legal History at Columbia University. He has authored many books including The Crisis of Russian Populism, The Development of a Russian Legal Consciousness, Scenarios of Power: Myth and Ceremony in Russian Monarchy. Volume One: From Peter the Great to the Death of Nicholas I and the second volume of the work From Alexander II to the Abdication of Nicholas II now available in an abridged and revised one-volume version as Scenarios of Power: Myth and Ceremony in Russian Monarchy: From Peter the Great to the Abdication of Nicholas II . In November 2007, he received the American Association for the Advancement of Slavic Studies’ highest award, for Distinguished Contributions to the Field of Slavic Studies. His current work concerns representations of imperial power and the culture of rule of Russian monarchy. This entry was posted in Blog Conversations, Soviet Era 1917-1991, Stalinism, The Stalin Cult. Bookmark the permalink.